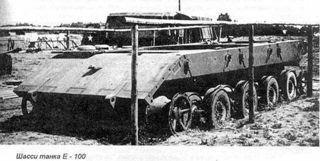 In June 1943, the Adlerwerke company received an order for development of the E 100. 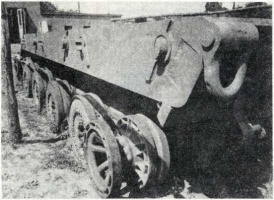 However, in 1944, heavy tank development was discontinued. 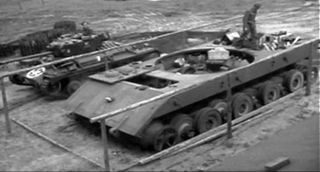 By the end of the war, only the chassis was completed, which was later captured by the British Army. 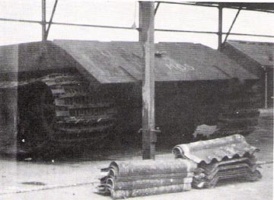 The last tank of the Entwicklung series, the E 100 is more mobile than the Maus, but is less armored. It can also mount the 15cm KwK 44 L/38 gun, which gives the E 100 more alpha damage while having less penetration and a longer reload. 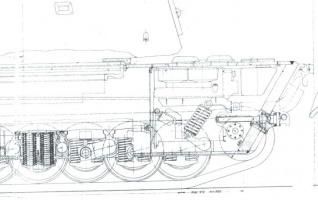 Side skirts help protect the tracks and help make the E-100 great at sidescraping. 15cm gun has high damage per shell compared to other heavy tanks. Turret face can be penetrated by many tier 10 guns (especially with premium ammunition) when not using sidescraping tactics. While boasting the same gun as the Maus in one configuration, the E 100 has the option of mounting the 15cm KwK 44 L/38, gaining good damage-per-shot at 640/640/960. However, the sub-par penetration of the 15 cm is a serious detriment when fighting other top-tier heavies while using AP. However, armed with HEAT ammunition, this tank easily becomes one of the most immediate threats to your health around. Note that AP still is sufficient for dealing with most targets, and HEAT ammunition is notoriously temperamental when dealing with angled and spaced armor. Penetration issues aside, the E 100 is the second slowest tier 10 heavy tank. On paper, the armor appears almost as good as the Maus, but the entire lower front glacis plate is vulnerable to even Tier 8 guns. Hide the lower plate whenever possible by sidescraping or using uneven terrain. Even with this weakpoint, the E 100 is more than capable of leading a charge with its strong all-around armor and very high hitpoint count, second only to the Maus. 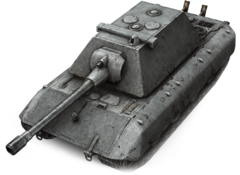 In summary, while it does have more mobility than its heavier counterpart, the Maus, the E 100 also doesn't have quite as much armor. 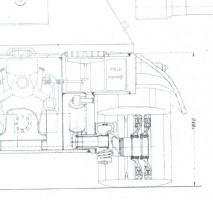 When starting out, both the E 100 and the Maus share the same 12.8cm main gun. However if the player chooses, they can grind to unlock a second, more powerful gun, the 15 cm KwK 44 L/38. However, to balance the extra damage, it has very bad AP penetration and accuracy compared to other tier X heavy tanks. 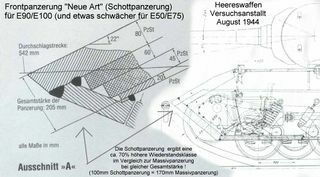 Unlike the Maus, the entire lower armor plate is a huge weakness to the frontal armor on the E 100, as even tier 8 guns can penetrate it (though a little angling quickly resolves this). Combined with the front-mounted transmission, you are at high risk for engine and fire damage. 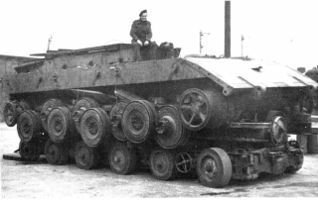 The E 100 is the only tier X heavy to mount a gun that can do an average of 640 damage per shell, on par with 15cm Tank Destroyers. 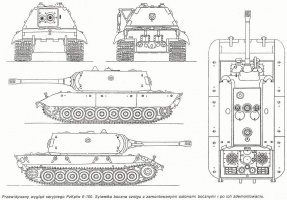 During the long reload time, it's advised that the player angle the turret by about 25°, making the effective armor of the turret as thick as 300 mm on both the front and the exposed side of the turret. Your turret ring is still vulnerable, however. This page was last modified on 28 November 2016, at 02:11.